Our Tapay vendor Zam Zam Restaurant invited us over for lunch a couple of Fridays ago. 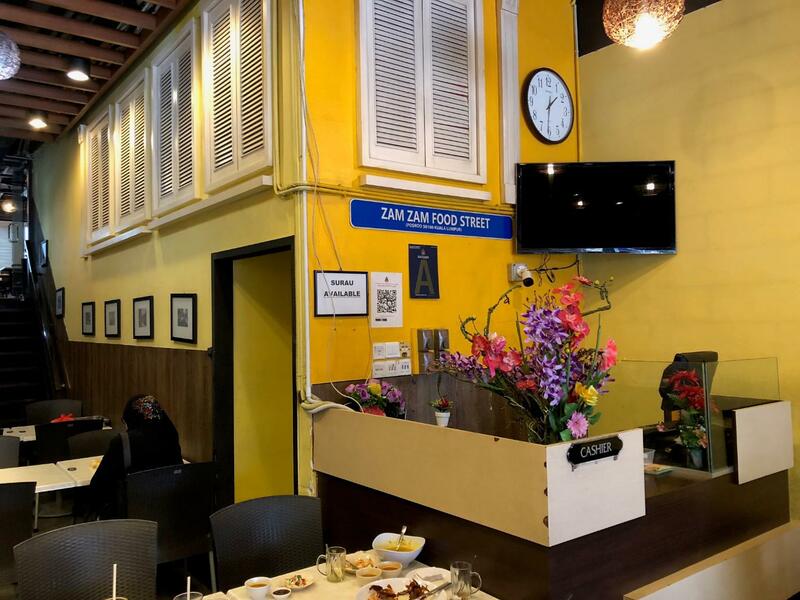 It wasn’t my first time visitng Zam Zam Restaurant, and having had a very good experience during my first visit, I was really looking forward to my lunch at Zam Zam. Those who are familiar with the restaurant would know that they are famous for their Briyani. We came in right after lunch so it wasn’t too crowded which we were thankful for considering it was a Friday. 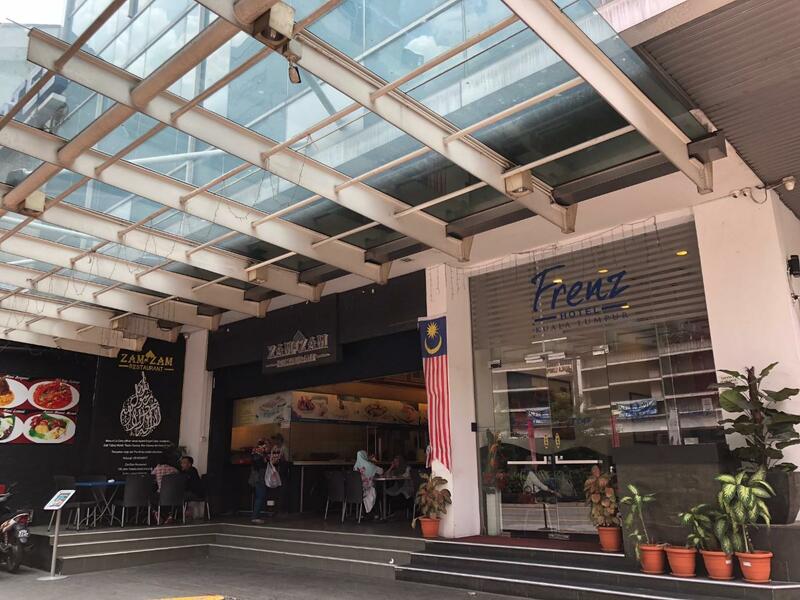 Zam Zam Restaurant is located along Jalan Tunku Abdul Rahman in Masjid India. I was shopping at Monica’s Collections that day just a street away so you could say I found myself at the right place at the right time! 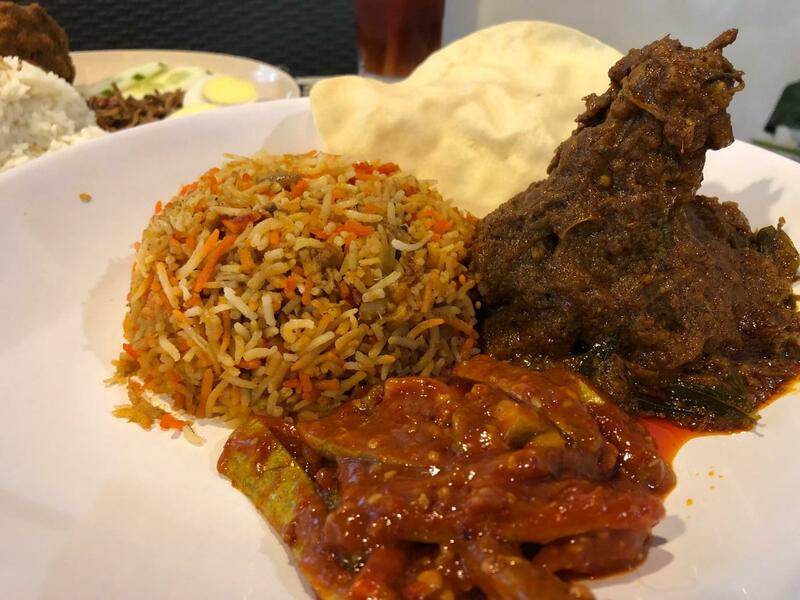 During my last visit to Zam Zam Restaurant, I had the Mutton Briyani which I found very impressive. 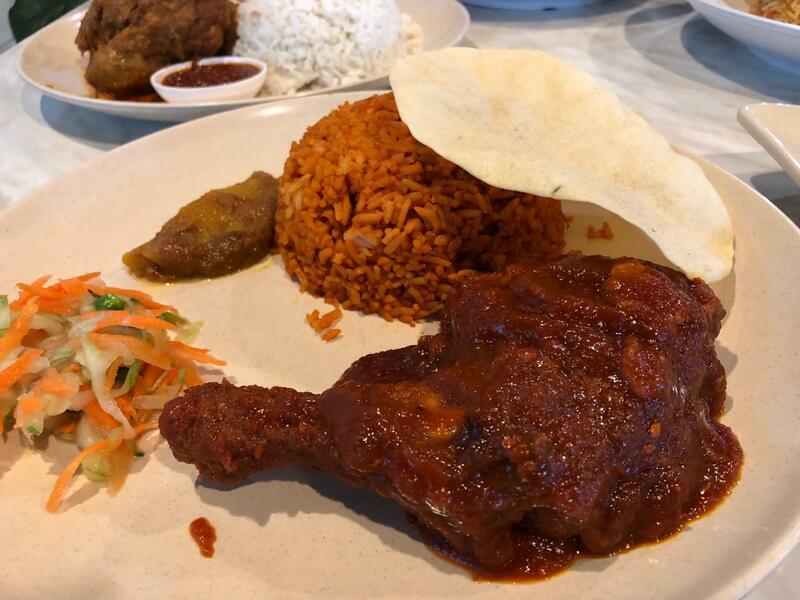 I had never heard of the restaurant before so I had no expectations but I was pleasantly surprised by how delicious my Nasi Briyani was. This time, we were served the Chicken Briyani which was really good as well. 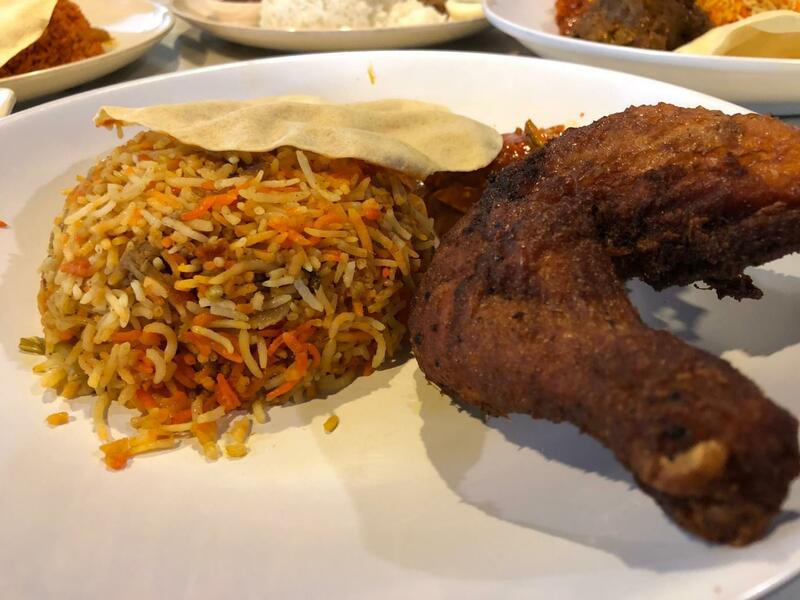 Personally, I am partial to mutton so I would still pick the Mutton Briyani over the Chicken, but if you enjoy Chicken Briyani you won’t be disappointed with the Chicken Briyani here at Zam Zam Restaurant. 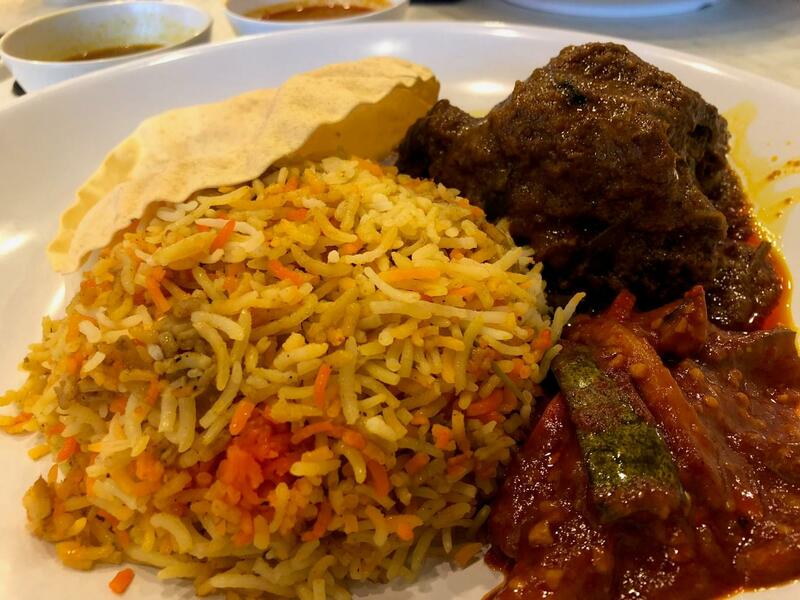 The meat on both the dishes was deliciously tender and the rice was well cooked as well. 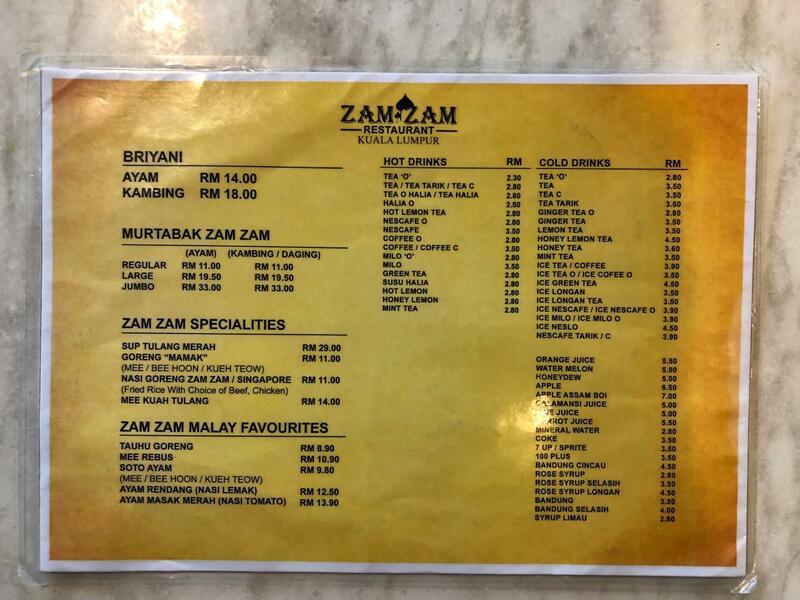 The menu at Zam Zam is pretty straightforward. While I like extensive menus, it can get a little confusing if you’re an indecisive person like myself when it comes to food. Oftentimes I find myself staring at some menus for far too long unable to figure out what I feel like eating. 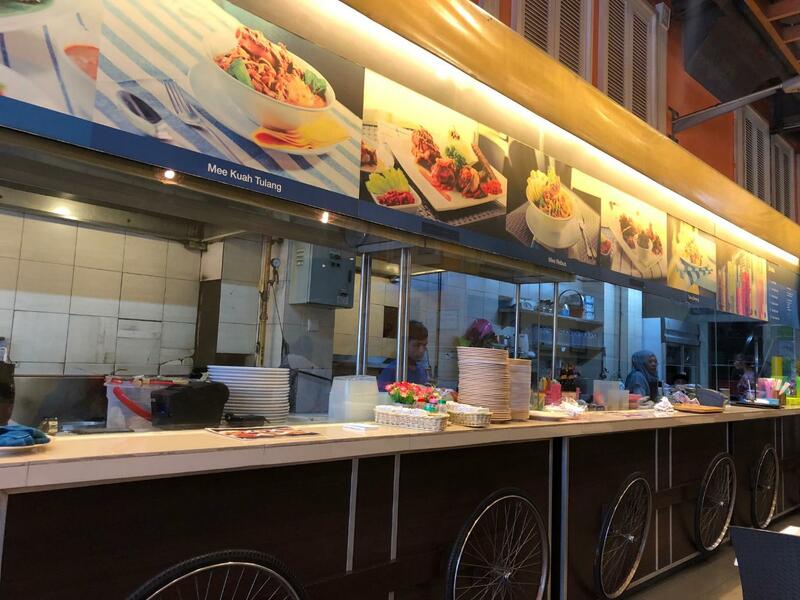 At Zam Zam, the specialties are very clearly highlighted and they seem to stick to what they are good at. 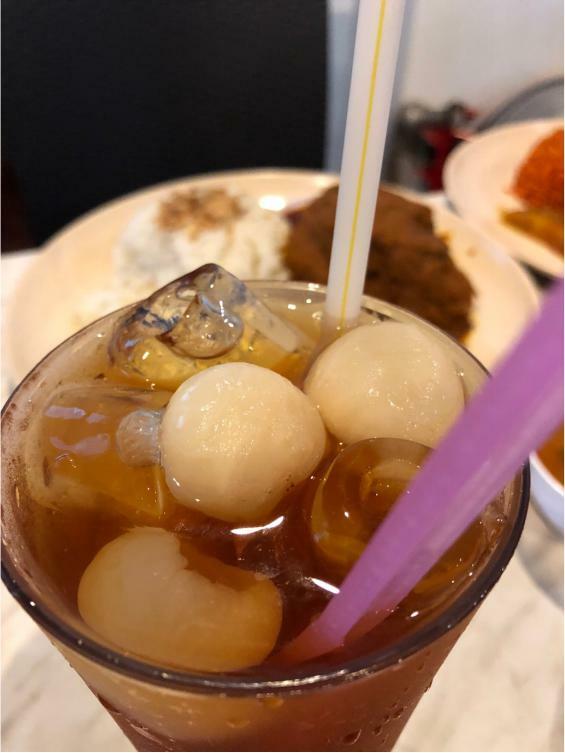 A simple menu offering local staples. Martabak Daging (RM 11). 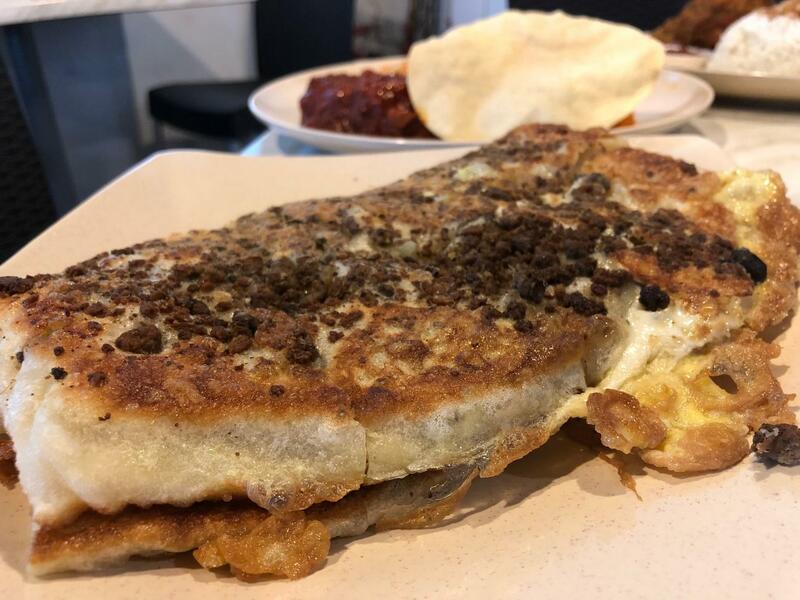 The Martabak at Zam Zam comes in three sizes. 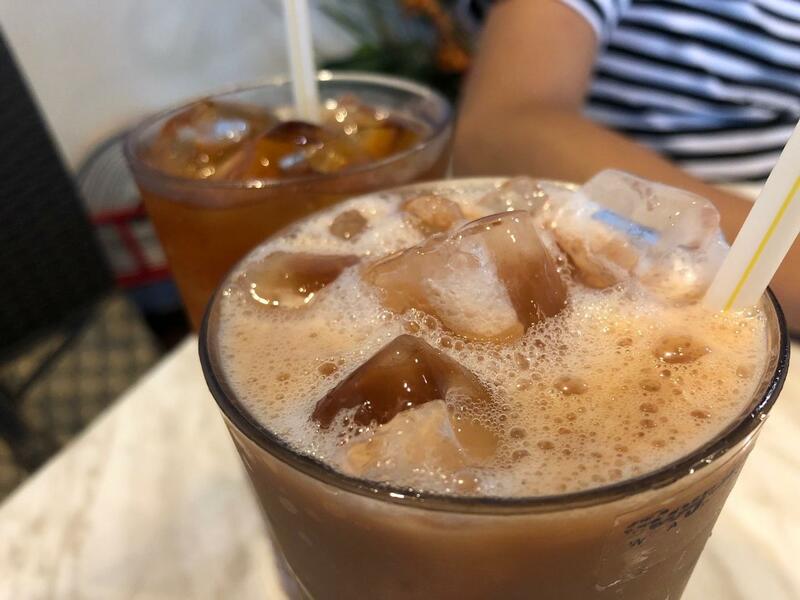 Regular, Large and Jumbo! 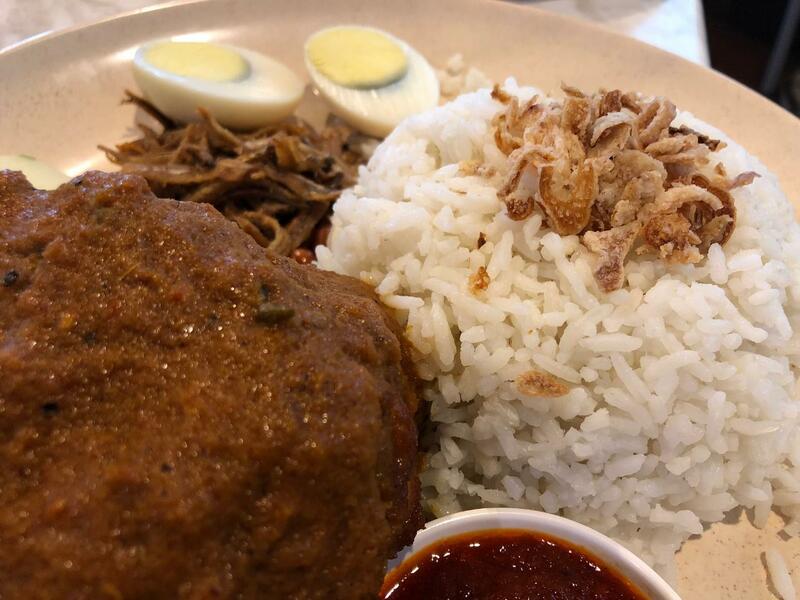 I had absolutely no complains on the food or my experience at Zam Zam Restaurant that day and we all really enjoyed our meal. Service was friendly and attentive as well, with the hostess regularly checking in if everything was ok and if we were enjoying our meal. On our way out, I noticed that the restaurant was right next to a multi-level building. 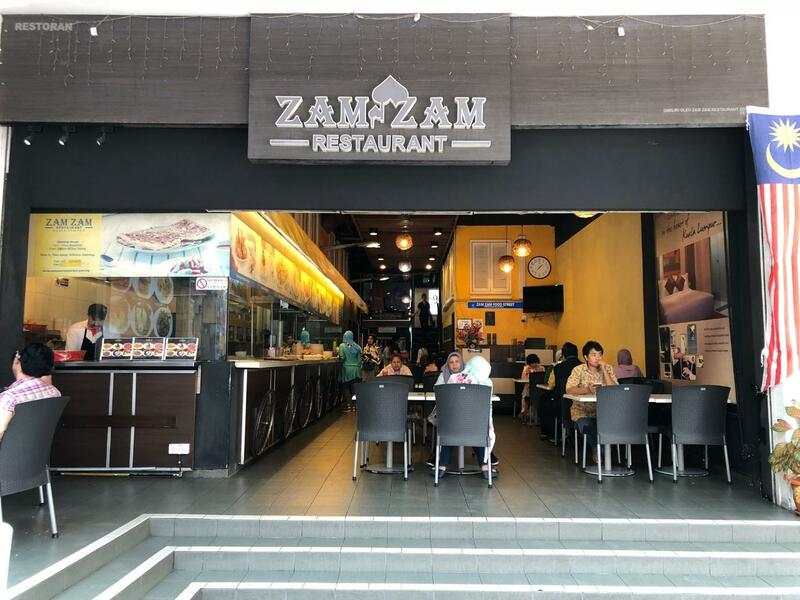 As it turns out, Zam Zam Restaurant is right next to Frenz hotel which I heard was a popular hotel for its affordable room rates and prime location in the heart of downtown Kuala Lumpur. I checked it out on Agoda and discovered that you could book a room starting from RM 94! That’s a really good deal for the standard of the rooms which look very clean, comfortable, and are also pretty new ( the hotel opened its doors in 2010). Hotel guests have the option to pay via Tapay at Frenz as well which is great news for us! I’d say it’s a great hotel to recommend to tourists visiting Kuala Lumpur who are on a budget.